Beginning in the 16th century, a vibrant Irish collegiate community developed on the European continent. In fact, the “Irish College” of Paris was just one of 34 such institutions established throughout western and central Europe during the 16th, 17th, and 18th centuries. But what prompted this particular development? In short, it was the English Reformation. This tumultuous, revolutionary period in English history also had tremendous repercussions in English-controlled, but overwhelmingly Catholic Ireland. Initially, religious conformity was not imposed in Ireland because the English monarchy depended on the loyalty of the Catholic aristocracy to maintain its rule there. During the reign of James I, however, the infamous Penal Laws were enacted to restrict the influence the Roman Catholic Church and other religious dissenters and establish Anglican supremacy. Their history is a long and complex one but, in general, the Penal Laws barred Catholics from political office and military service, transferred church property to the Anglican Church, forbade Catholic masses in public, and imposed a tax for non-attendance at Anglican services. At their most oppressive, the Penal Laws confiscated the lands of Catholic landholders, banned Catholics from living in towns, and expelled Catholic clergy from the country under pain of death. Obviously, these conditions — even at their most lenient — required Irish Bishops to send aspiring priests abroad for their ecclesiastical education. These expatriate seminarians ended up establishing “Irish Colleges” in places as far flung as France, Spain, Portugal, Flanders, Germany, Italy, Poland, and Bohemia. The Irish College of Paris can trace its origins to 1578, when one such priest, John Lee of Waterford, formed the very first Irish collegiate community abroad. The “Community of Irish Students in Paris” initially included Lee and six seminarians under his tutelage, and they set up residence in the Collège de Montaigu at the University of Paris (the Sorbonne). Some thirty years later, the Parliament of Paris granted the community its own property and, in 1624, the University of Paris officially recognized it as a seminary. Given the aggravating conditions back in Ireland under the Penal Laws, the seminary quickly outgrew its facilities and, in 1677, King Louis XIV granted the seminary ownership of the Collège des Lombards (formerly an Italian institution that had fallen into disrepair, where Ignatius Loyola and Francis Xavier had earlier studied). Incidentally, the grant of the community’s first permanent home was due in large part to the intercession of Patrick Maginn, the Irish-born chaplain of Queen Catherine of England (the Catholic wife of King Charles II), and Malachy Kelly, the Irish-born chaplain of King Louis. Within a century’s time, however, the needs of the seminary demanded yet additional space and, in 1769, the prefect of the Irish College acquired the building on rue du Cheval Vert (“Street of the Green Horse”) that now houses the Centre Culturel Irlandais; this facility became known as the Collège des Irlandais, and it accommodated both lay and clerical students from 1775 forward. The street was subsequently renamed rue des Irlandais (“Street of the Irish”) because of the presence of the College. Like all religious institutions, the Irish College did not fare very well during the French Revolution. Both the Collège des Lombards and the Collège des Irlandais were seized by the revolutionary government in 1792, and the latter was reopened as a school for boys from 1793 to 1802. Although still under the direction of an Irish abbot, the school was run in accordance with French revolutionary principles. In response to the seizure of the Irish College’s properties in Paris and elsewhere in France, the Bishops of Ireland petitioned the British Government for establishment of a domestic seminary in Ireland. In 1795, the British government granted the petition and Saint Patrick’s College was established at Maynooth. Beginning in the early 19th century, additional seminaries were established in Ireland, and the previously crucial mission of the Irish Colleges abroad diminished in importance. 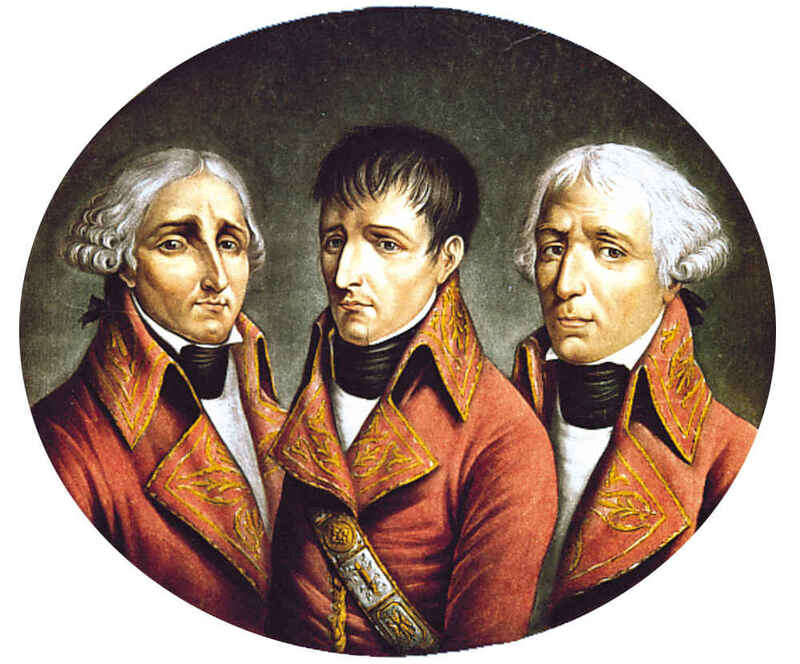 After the Revolution, Napoleon reopened the Irish College by Decree of the First Consul, but it operated as a “rationalized” institution under the supervision of a government board. The College was consolidated with the remnants of the other Irish, English, and Scots institutions in France that had escaped destruction during the Revolution. Even though the College’s holdings came to include the manuscripts and artworks of these other institutions, its endowment had been had severely diminished by the anticlerical conflagration of the French Revolution. In fact, the College’s original library collection had been entirely lost or destroyed. After the restoration of the Bourbon monarchy, the Irish College was able to continue as a seminary for Irish priests, but it never again regained the level of importance it had during the first two hundred years of its existence. During the most turbulent periods of Paris’s history, however, the Irish College adapted to the needs of its community. It served as a hospital for wounded soliders during the Franco-Prussian War of 1870-71, as an American Army center for displaced persons claiming American citizenship in 1945, and as a seminary for Polish priests under that country’s post-war Communist regime and up until 1997 when renovations began to create the Centre Culturel Irlandais.